James (Jim) Clark has founded several successful and influential technology companies over the past three decades. 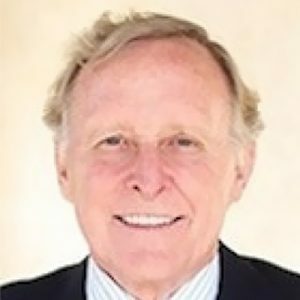 Dr. Clark co-founded Silicon Graphics Inc. in 1982, which revolutionized desktop computing by building high-performance workstations that could create and display 3-D images in real time. The company’s technology was eventually licensed to graphics chip manufacturers and is now used in practically every smart phone and computer made. Jim also co-founded Netscape Communications Corp. in 1994. Netscape is credited with launching the rapid growth of the Internet in the mid-1990’s as well as initiating the IPO and Internet stock-market boom during this period. Jim has also started several other successful Internet companies, including Healtheon Corporation, which ultimately became WebMD, MyCFO, and Shutterfly. Dr. Clark has served as Chairman of the Board of Directors for Silicon Graphics, Netscape Communications, Shutterfly, Healtheon, DNA Sciences, and WebMD. Dr. Clark was an associate professor at Stanford University, received a Ph.D. in Computer Science from the University of Utah, and Master of Science and Bachelor of Science degrees in Physics from the University of New Orleans.